Whether you've already tried Drop Spindling, loved it but are ready for more of a challenge. Or you're the type of person that loves to just jump right in and learn something new, this Intro to Wheel Spinning course if just for you! Learn the basics of using a spinning wheel, fiber prep and spinning singles. In this basic course you will learn how to handle fiber, how to spin singles and how to build up yarn of the shaft of your spindle into an ice cream cone cop! Introduction to Weaving is for the complete beginner and for those who wish to refresh their warping and weaving skills. Instruction covers everything a weaver needs for successful warping and weaving. Birthday Party for members of our Thrill Seekers Program. 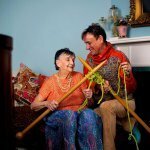 Have you been spinning yarn for a while but you would like help working on new techniques or learning how to use your wheel? Then this is the class for you. Come with questions. 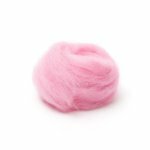 We will also cover plying, skeining and spinning yarn for specific projects.